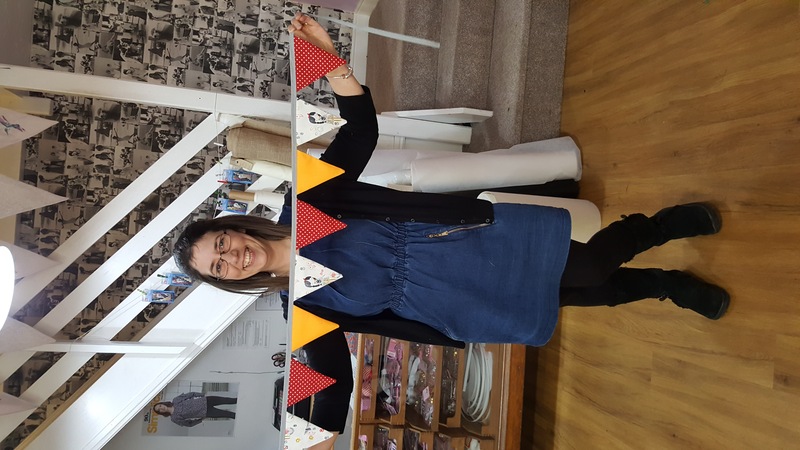 Three ladies came to our beginners bunting workshop. Firstly they learnt how to thread the sewing machine, wind a bobbin on and how to insert the bobbin into the machines. Next they went on to sew straight lines, practised zig zag stitching and pivoting. These are ways of getting to know what your machine can do. Once they were happy and confident we set about doing the fun bit, creating bunting. Here are pictures of the fantastic bunting the ladies made. Free cake, tea and coffee were supplied to keep us all going and lots of laughs. If you would like to join us at one of our sewing classes go to workshops and book online.